The Navy has a radical new vision for how it will train sailors and manage their careers. The overhaul of the personnel system, known as “Sailor 2025,” is already underway, but sailors should expect to see more changes next year. The Navy is implementing a new rating structure that has redrawn many traditional community boundaries. The intent is to soon make it possible for sailors to cross train — and eventually advance — in jobs beyond their own traditional ratings. At the same time, the Navy will continue to shorten the length of initial accession training, which has traditionally lasted up to two years. Instead, training will include a far shorter stint following boot camp that will be whittled down to only what new sailors need to succeed at their first duty assignment, getting them to the fleet sooner. 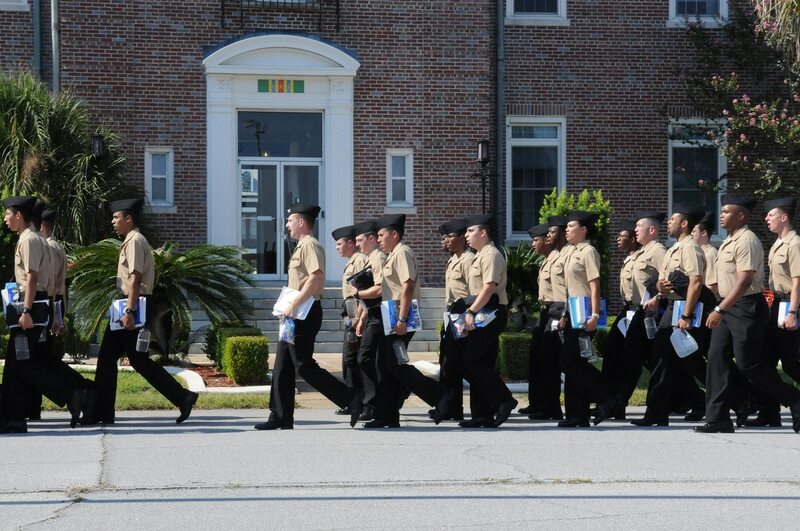 After that, additional training will be spread over a sailor’s career, coming in “blocks” given at different times. Some training will occur at traditional “brick and mortar” schoolhouses, but sailors should also expect to see training in local fleet concentration areas and by distance learning onboard commands Navy-wide. The effort started to ramp up in 2017, when the first four ratings moved into the system. In 2018, look for as many as 15 additional ratings to move into the new system while work continues for 34 ratings. By 2020, a majority of the Navy’s 87 ratings will be training sailors under the new format, officials say.